This Paper highlights many features of collusion at auctions that distinguish it from collusion in posted price markets, including private information by participants as well as the role of the auctioneer as a player in the game. The Susceptibility of different auction schemes to collusion, including multi-unit auctions, is explored. The design of auctions so as to be robust to collusion is also discussed. 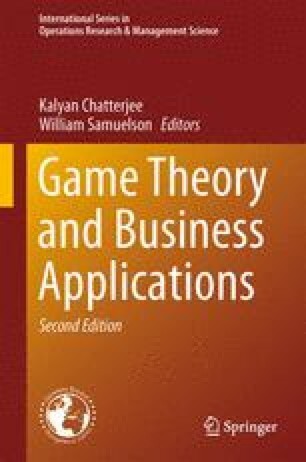 This is a revised version of “The Economics of Auctions and Bidder Collusion, in Game Theory and Business Applications (Kalyan Chatterjee & William F. Samuelson eds., 2001). The content draws significantly from two earlier papers by authors Marshall and Meurer: “Bidder Collusion: A Basic Analysis of Some Fundamental Issues,” and “Should Bid-Rigging Always be an Antitrust Violation?” We thank Vikram Kumar for helpful research assistance. Robert C. Marshall thanks the Human Capital Foundation (http://www.hcfoundation.rulen/), and especially Andrey Vavilov, for financial support. GAO Report (1990). Changes in antitrust enforcement policies and activities of the Justice department, 4 (Vol. 59, no. 1495). http://archive.gao.gov/d22t8/142779.pdf. Accessed 7 Dec 1990.